ABB, a leading global technology company in power and automation, said its senior managers are contributing to high-level discussions on the enabling power of digital technologies to transform economies and meet climate goals at the ongoing COP 22 Conference, taking place in Morocco, today. The event will run until November 18. The event marks a turning point in the global effort to reduce carbon emissions as the landmark Paris Climate Change Agreement, agreed at COP21 last year, will enter into force during the conference. ABB supported a number of pledges signed by world leaders at COP21 in Paris, including a commitment to scale up renewable energy and help emerging economies transition their markets to energy efficient products, said a statement from the company. At the current event, ABB will demonstrate how this commitment translates into products and services that enable access to electricity and improve lives, it said. ABB executive committee member for the region Asia, Middle East and Africa, Frank Duggan, will join senior policymakers to champion energy efficiency as the most cost-effective way to reduce the environmental impact of development, it added. 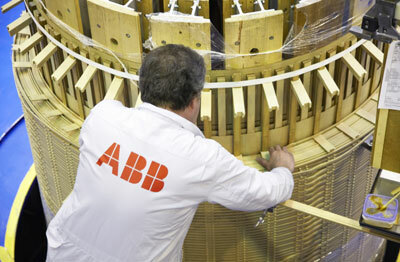 As a key member of the United Nations Environment Programme’s (UNEP) global action on improving appliance and equipment efficiency, ABB is helping to improve energy efficiency standards for electric motors and transformers, which accelerate energy savings. Duggan will also highlight the potential of renewables and microgrids in Africa. “In the past, only minerals and oil and gas were seen as ‘treasures’ in Africa. Today, the continent understands that solar power, wind power, geothermal power, and large scale hydro power are essential in helping drive it towards a robust electrically powered future,” he said. “At ABB, we have available the technology to help remote or isolated areas connect to a reliable and clean electricity supply. A good example is a microgrid solution we are providing for the Nairobi logistics hub of the International Committee of the Red Cross (ICRC),” he added. The ICRC microgrid solution incorporates both solar power and diesel to ensure a reliable power supply in a region where outages are common, and reduce carbon emissions. It is essential that the ICRC hub can rely on uninterrupted power, as it is responsible for delivering food, medicines and relief supplies across the African continent. At COP22, ABB’s head of microgrids, Maxine Ghavi, will discuss the expanding use of microgrid technology and integration of renewables with co-founder and pilot of Solar Impulse, Bertrand Piccard, and ICRC head of delegation Pascal Mauchle, said a statement. Ghavi and Piccard will offer insights into “running the world without consuming the earth” using clean technology, it added. ABB experts will be available at the company’s booth with cutting-edge products like YuMi, the world’s first truly collaborative dual-arm industrial robot, ABB’s electric vehicle fast-charging infrastructure, and demonstrations of microgrid and wind technology, it said.